Another new item in our line-up, hand-hewn dough bowls. Made from locally-harvested and naturally grown timber, these bowls are designed for mixing, kneading, and rising all types of bread doughs. 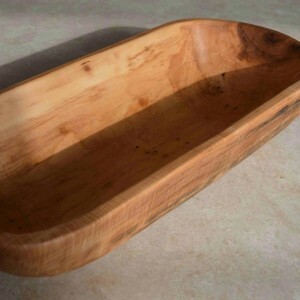 This bowl is solid maple and measures approximately 10″ x 24″ with a retail price of $225.